BAM Nuttall is totally focused on delivering quality civil engineering projects for our customers. We believe in working collaboratively and are fully committed to jointly developing the best and most cost effective solutions for all projects. Our aim is to build long lasting relationships with our customers and our supply chain partners. Our purpose: ‘To create a sustainable future by bringing engineering to life. Great people: Our working environment ensures that everyone can make a unique contribution. They can progress, realise their potential and excel. Great leadership is visible at all levels and inspires individuals to take responsibility. People are happy to be held to account. We celebrate the health and wellbeing of our people, and in turn they assure the success of our business. We recruit all levels of civil engineering and support staff. We recruit all levels of ICT/Innovation/BIM (Building Information Modelling) departments who support and deliver our IT/Technology related roles. Beyond Zero thinking makes us stronger, Beyond Zero encourages us to set high standards and excellent examples. It’s about challenging ourselves and others to do better and to make a positive contribution to our teams, company and the planet. Taking small steps every day to create an environment and culture in which our employees, customers, partners and communities can be satisfied that every consideration is taken when addressing individual needs. Women@BAM aims to challenge the perception of women in civil engineering, highlight the positive contribution women make and seek to enhance the gender pipeline across all disciplines. Research the company. Don’t just look at the website, try to find some information that is current and allows you to refer to recent projects that the company has been involved in. Research the industry. Show you are aware of recent developments in the industry. Be professional with your application and double check spelling and grammar. Keep in mind that all is work experience is good experience so no matter how relevant you feel it is, show all work experience you have with dates and duties clearly shown. Try to show your personality. Within your application you should show your personal interests and achievements, as well as your academic achievements. My role as energy manager entails management of our energy portfolio across electricity, natural gas and liquid fuels. I am also responsible for preparing company level sustainability reports against carbon emissions and waste. The role is built on the foundation of several roles from house building through to setting out engineer which has been essential in giving me the practical knowledge required for my current role. I am also a transgender woman and this has presented a number of sociological and psychological challenges both at work and at home, but it has also given me a determination to overcome existing real and perceived stigmas which otherwise could detract me from feeling happy with my life. My advice to students looking at life after education is to think about what you enjoy doing and aim to fit your career around that, don’t worry about defining your exact career path at this time, try new things and embrace change. 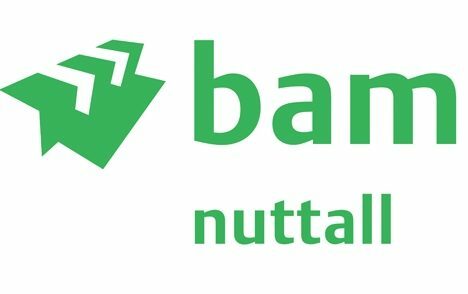 I am a Diversity Coordinator working within the Culture & Diversity team at BAM Nuttall. My role involves looking after the Women @ BAM group and celebrating diversity in our business. I also manage our Diversity Calendar which includes a variety of events such as religious festivals and International Women in Engineering Day. I am female and profoundly deaf. I wear two cochlear implants which help me to hear. There are of course, obstacles which I face at work, however, I feel I bring a unique perspective which others cannot offer. My team have always listened to my opinions and we can learn something from everyone. My advice to students would be make sure you do something you enjoy. Try to get experience if you can, as this is the best way to test whether you enjoy something or not and don’t let your personal background hold you back. Site Engineer working at Redhill Station building a new platform. My role involves being both out on site and in the office checking that the construction is being built as per the design and specification through setting out and quality checks, the paperwork is prepared in advance and managing the designs through our consultant and client. I am both female and of Sri Lankan decent and therefore, fit into two minority categories. I frequently am the only or one of the only females in the project teams but I have always felt accepted by the team. Part of my job is Lead Coordinator for BAM Ambassadors which encourages more young people into a career in construction or STEM. I continuously spread the message of how fulfilling a career in civil engineering can be. No matter what minority group you belong to, if you work hard then you will succeed.